Check out the Women's Center's Spring 2019 Calendar of Events! The Women’s Center serves as a resource for the entire campus community while placing the experiences of diverse women at the center through the resources we provide, the programming and learning opportunities we facilitate, and the dynamic community space that we create. We are a unit of Equity, Diversity and Inclusion. 9am-7pm, Monday-Thursday, and 9am-3pm, on Fridays. Are you a graduating senior who been involved in advocating for gender justice on campus? Apply for the Women’s Center Outstanding Senior Award! The selected recipient will receive a $500 award from UC San Diego Alumni. Application Deadline is Monday, April 15th. April is designated as National Sexual Assault Awareness Month (SAAM). Sexual assault is an issue that affects our entire community. The goal of SAAM is to raise awareness about sexual violence and to educate communities and individuals about their role in prevention. Click above to see the list of SAAM events happening on campus! Celebrating and honoring the legacy of Sally Ride, the first American woman to fly in space, Women in Leadership brings together trailblazers who have shattered barriers and paved the way for women across the globe. Through a candid and timely discussion, the distinguished panel will share their personal stories and vision on how women can help lead our nation to a better future. Join us on Wednesday, 5/22, at 6:30pm, at the UCSD Price Center! The American Association of University Women (AAUW) is offering a free online salary negotiation course. Enroll and take the course now! Beginning this spring, all students are able to provide the University with preferred first and middle names, as well as personal pronouns, in the campus data system. 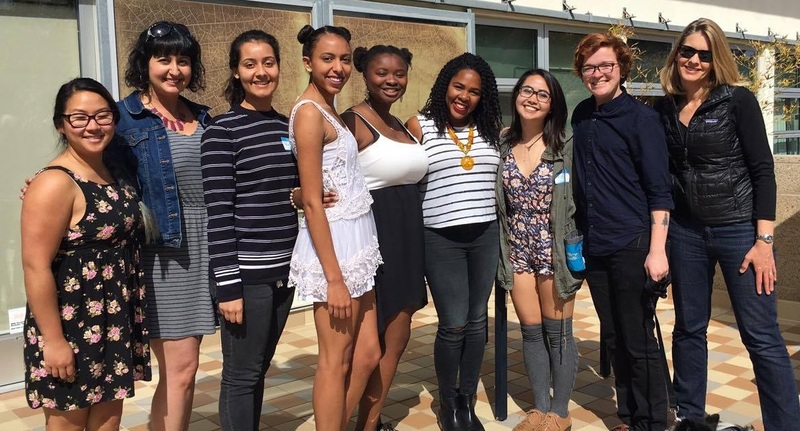 Please support the mission of the UC San Diego Women’s Center to provide education and support to all members of the campus community regarding gender issues, with the goal of promoting an inclusive and equitable campus community. Every gift, regardless of the amount, makes a difference.